If you’re not aware of what BuddyPress is, now’s the time to learn, because the free WordPress plugin offers the quickest and easiest method to create your own social network, with member profiles, activity streams and more. Most everyone who has tried to build some sort of community on a WordPress site has turned to BuddyPress, since it’s lightweight, powerful and easy to learn. It’s a completely open source program that you can download here, and it has a plethora of features such as user groups, messaging, friendships, notifications and more. It’s also rather common for webmasters to pair the plugin with bbPress, which handles the forum part of the job. Chances are you won’t end up creating the next Facebook with this plugin, but it’s extremely suitable to expand a community on an existing website. For example, a blog that brings together urban gardeners would benefit well from a more social aspect on the site. Similarly, a business website can use BuddyPress to allow customers to connect with you and you can provide them with immediate customer support should you need it or you can even create a small company intranet where your employees can collaborate on documents and plan their projects. Keep in mind that although BuddyPress is built to work with most WordPress themes, it’s best to opt for a solution that is completely centered around using the BuddyPress plugin. These themes are ready to work with the profiles, messaging centers and friendship requests, so make sure you keep reading to locate the best BuddyPress WordPress themes for social networking, community or dating sites. Starting of the list is one of our favorites. 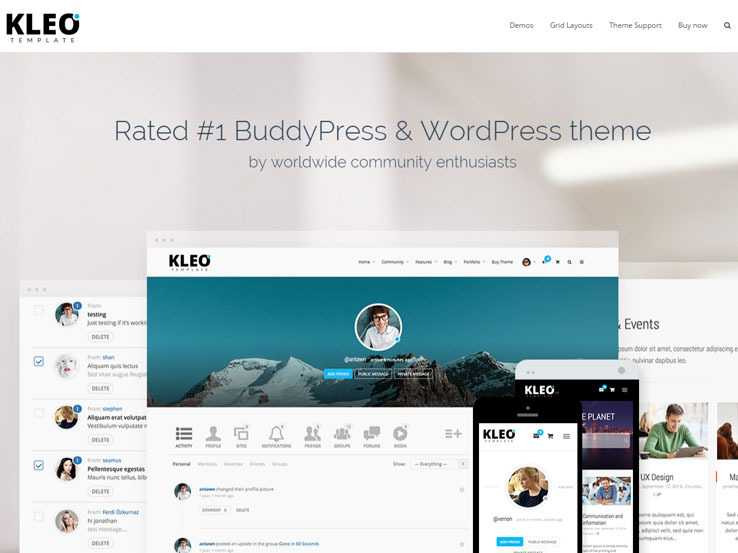 The KLEO WordPress theme embodies everything that a community theme should be, with tons of demo content and skins for drastically changing the way your website looks. That said, all of the skins work flawlessly with the BuddyPress plugin, so you can build a community without any problems. Write on your own professional blog to bring together people who may want to talk about certain topics and improve your SEO at the same time. Showcase a beautiful portfolio if you plan on bringing in clients, and build an awesome shop with the help of WooCommerce. The unique BuddyPress design focuses on helping people make new friends and send messages. Notifications look good and sending out messages has never been easier. The Live WP Customizer has the customization tools needed for both beginners and advanced users, allowing you to speed up the design process and preview your changes without having to refresh the page. The intuitive admin panel provides options for changing colors, fonts, logo, and more. On top of that, the theme includes a frontend drag-and-drop page builder, turning the design process into a breeze. The Facebook login integration is a huge plus, while the super customizable portfolio has the tools you need to bring in clients if needed. 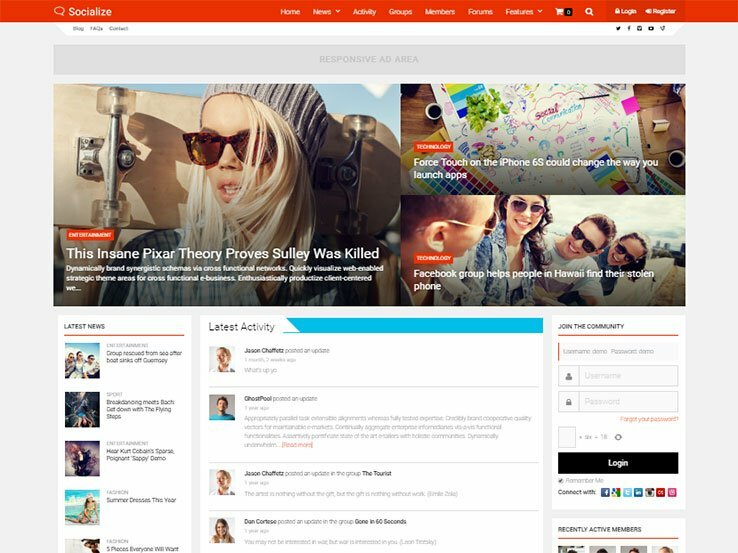 Check out the Socialize theme if you’re interested in a multipurpose BuddyPress theme with responsive design. Not only can people view the theme on mobile devices, but it allows you to use all of the BuddyPress widgets in the Visual Composer. The bbPress integration is a nice touch as well, but we really enjoy that multiple layouts can turn one website’s look into something completely different. AJAX filtering makes it easy to find content throughout your site and improves the user experience. An events calendar is also included with the Socialize theme, helping you feature your upcoming events and notify your community members. Socialize has a one-click install button and it comes with a beautiful customization panel so you can customize every aspect of the theme. Powerful menus allow you to add tons of pages into the header area and make it easy to navigate your website without being overwhelmed. Social login is offered through the Socialize theme, expediting the login process. Socialize is WooCommerce compatible, which is wonderful for those companies that want to start selling digital or physical items online. The Buddyboss WordPress theme offers a whole new way of visualizing BuddyPress. It starts with the responsive nature of the theme and then turns to areas like profiles and inboxes. Launch a world class social network using a flexible layout and easy admin settings. What’s cool is that you can customize the entire social network without touching a line of code. Easily control your logo, navigation, widgets, cover photos, and more. 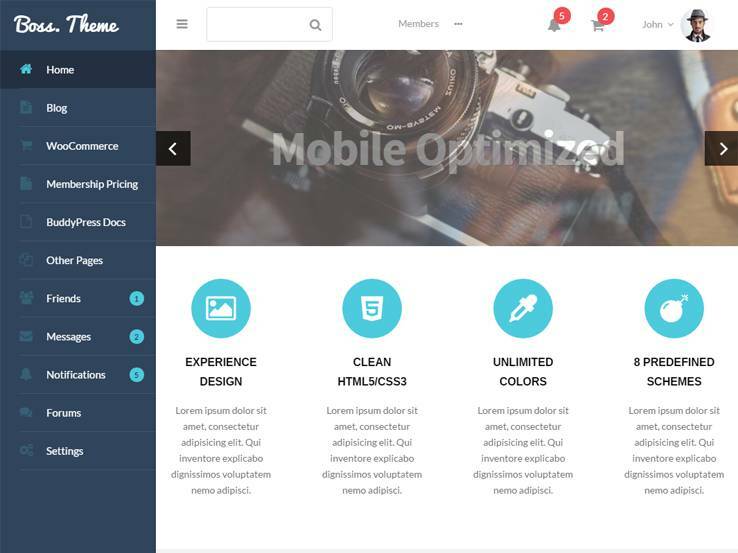 Fonts and colors are all customizable, and the theme even includes handy import and export options for filling your site with content. Another advantage of the Buddyboss WordPress theme is that you can turn it into an online learner platform by using the Social Learner Add-on. The Buddyboss theme is fully integrated with the Paid Memberships Pro plugin for collecting payments and setting up recurring memberships when trying to sell your classes or VIP content. Multilingual support comes in handy if you plan on building an international community. The Buddyboss theme provides social login modules in case someone wants to quickly login using Twitter or Facebook. 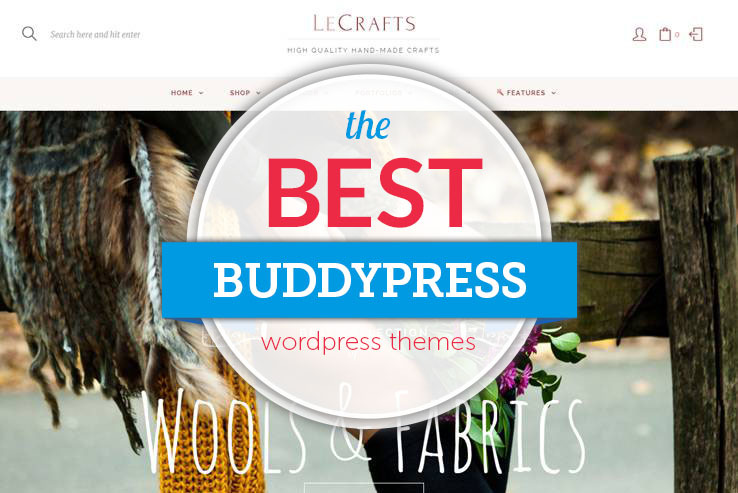 Oh yea, did we mention Buddyboss includes WooCommerce support? Therefore, start selling digital and physical items through your social network, or sell your eBooks before starting an online class. Overall, this a beautiful theme with some additional features like custom logos, font icons, translations, and easy forms. The Monstroid theme is a monster theme. It packs so many skins, themes, and features into a fairly lightweight theme that you can build just about any type of website or social network. 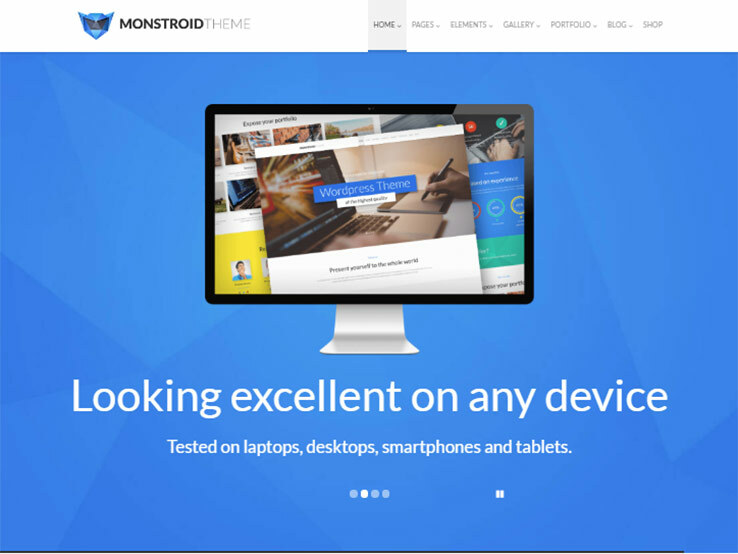 The Monstroid WordPress theme has a beautiful responsive design. It also comes with 10 child themes and 15 layouts, making it easy to turn it into any type of business website. You can use it for school websites, just as easily as you can create HR recruitment services. Dig into over 100 PSD files if you’re more advanced user and want to completely customize the design. Choose from multiple layouts such as boxed width or right sidebar, and watch as the parallax scrolling effect turns your homepage into something that everyone wants to look at. The background video is a standout feature since you can immediately show users what your company and community is all about. Multiple sliders turn your homepage into a page for featuring new products or items that you generally would want to send customers to. The font icons and charts add visual elements to your design, while the theme settings are constantly backed up in case you need to restore them. The full social integration makes things easier for building your online platform and the Google Map API is ideal for those companies that have brick and mortar stores. And don’t worry, the Monstroid theme works fluently with BuddyPress. 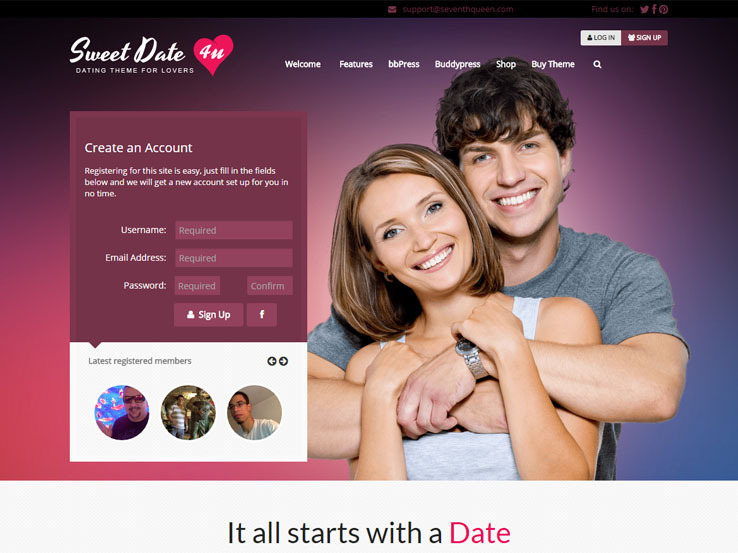 Sweet Date is a solid BuddyPress theme for anyone trying to build a dating platform. Since most dating websites are structured like a social network, it’s pretty much essential to tap into the BuddyPress plugin for making your site work the way it should. The theme integrates perfectly with WordPress, BuddyPress, and bbPress, all of which combine to make the ideal dating website. The Facebook login integration means that users don’t have to create yet another password whenever trying to log in and the WooCommerce ready nature of the theme allows companies to sell digital and physical products. Smart notifications keep customers informed while the membership subscriptions ensure that your customers are paying you on a consistent basis. Sweet Date provides a fully responsive layout which looks and works great no matter which device your visitors are using. Choose between a boxed or full-width layout and rest assured your website will look modern and stylish. Pricing tables are included and you can even restrict the amount of content people see based on their access level. The Facebook login cuts down on how many people need to remember passwords while the amazing Revolution Slider plugin has all the animations and overlaying buttons you need to reveal cool promotions or company updates. 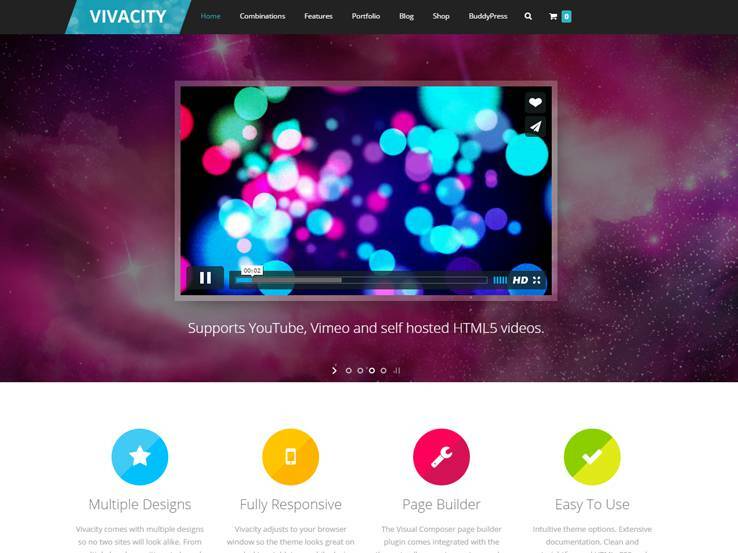 The Vivacity WordPress theme is a multipurpose and responsive theme with a beautiful backend and frontend interface. It’s a theme that works well with BuddyPress, so if you’re trying to add a social platform to your website, this theme gives you the opportunity to do so. Thousands of combinations are available with the skins, themes, and page templates, turning your social network into something that you can brand well and engage people with. This means that your website will be easily recognizable and sure to stand out from the competition. We also enjoy the Vivacity theme because it includes a beautiful slider with 2D and 3D effects, grabbing the attention of your visitors and giving you a chance to share information with them. The parallax backgrounds generate a creative look for your site, while the responsive nature of the theme ensures even visitors on mobile devices can see your website without any issues. Demo data is provided for those who would like to get the design process started without any hiccups. The mega menus ensure that hundreds of pages can be created on a site, making it a little easier for running an online store. Speaking of an online store, WooCommerce integrates nicely with the Vivacity theme. The Vivacity theme is specifically designed for both WooCommerce and BuddyPress, so developing a beautiful eCommerce store and a social network for those customers is a simple task. Just upload your products, activate both of the plugins and you’ll be well on your way to selling products online and running a little community. 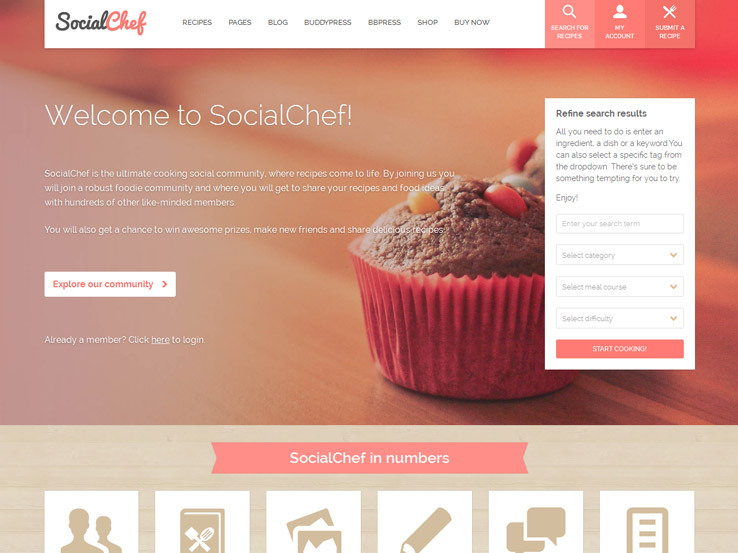 SocialChef is a clean and responsive BuddyPress theme that includes advanced search and front-end submissions as well as community features such as member profiles and activity feeds. It’s a great choice for any website that wants to build a community centered around food and recipes. Aside from a gorgeous full-width header image that’s sure to grab the attention of your visitors, the front page allows you to feature a recipe of the month as well as a featured chef. The recipes are laid out in a grid format which makes it easy to display your recipes in an organized fashion. The theme is fully responsive so you can rest assured your website will look great on any device. SocialChef is also SEO optimized and includes the proper Schema format to make it easy for search engines to index your recipes and increase your rankings. You can also easily translate your website into any language and if you want to monetize your website, take advantage of WooCommerce integration and sell membership plans or recipe collections. 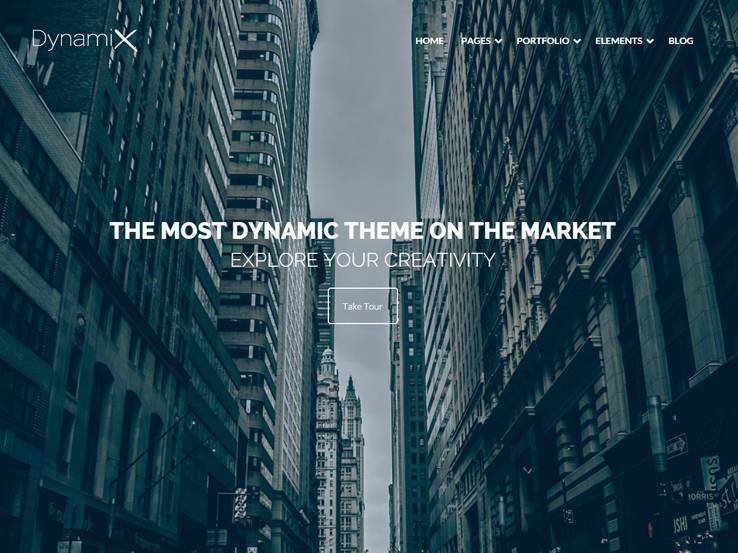 Dynamix is a stunning multipurpose theme that allows you to create the perfect business, eCommerce website, or a social network. The theme integrates completely with BuddyPress which is the main reason why it made this list. 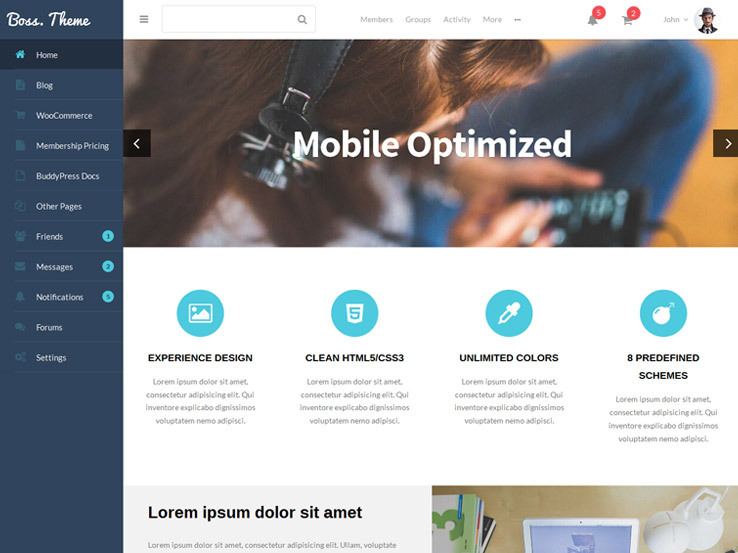 It features a clean and responsive design that follows the latest design trends. It includes a large header image that can be used to display a call to action. Various sections of the homepage allow you to feature members of your community, showcase your community events, and much more. Thanks to the included Visual Composer plugin, you can easily tweak any premade layout or you can build your own from scratch. Visual elements of your design can be customized to create the look and feel that matches your brand. On top of that, your entire website can be translated into any language so you can connect with a global audience and expand your network. Divi is a stunning and versatile theme that allows you to create any type of website. Divi is powered by the Divi Builder plugin, a drag-and-drop editor with over 40 different modules and over 20 pre-made templates. No matter which kind of community you’d like to build, Divi is sure to impress your audience and help you build a vibrant community. The profile modules are great to include a photo and a biography for all your members, while the social follow module will allow you to include their social media links so your members can connect with each other. Every module can be further tweaked and customized to your liking and the theme itself includes global customization options which allow you to customize your header and footer, control the global layout, change your colors, fonts, and much more. In short, Divi is nothing short of impressive. The latest update allows you to see the changes in real time and you can easily make edits straight from the front-end. 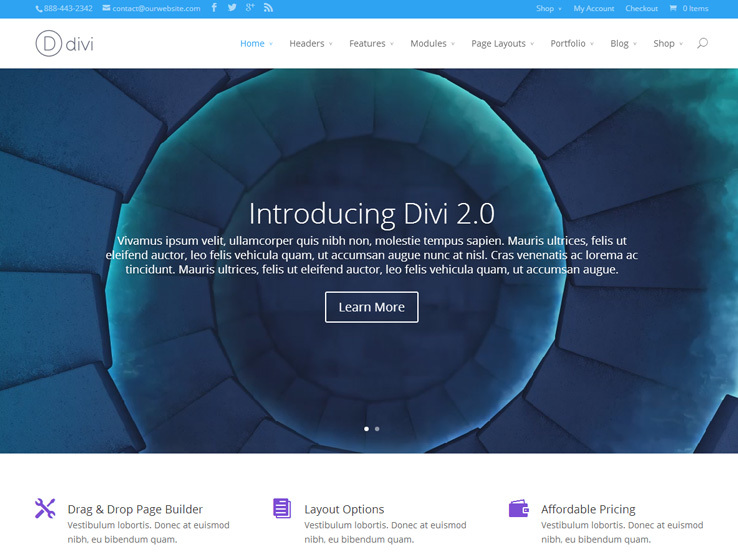 With responsive and retina-ready design, Divi is definitely a strong contender for your next community website. Check out the Boss theme if you’d like to launch a world class social network. This gem has a flexible interface for changing colors, uploading logo, and customizing typography options. It’s mobile responsive so it looks great on all devices. You’ll also notice that you can customize just about anything without having to touch any code. Add membership levels and turn the website into a learning platform with the help of a simple plugin. The Boss WordPress theme integrates perfectly with BuddyPress and it uses a social login to expedite the login process. WooCommerce support is another great feature since it allows you to sell anything you want through an online store. Custom logos are an option and the translation features allow you to reach an international audience. Don’t forget that the Boss theme provides several shortcodes for building anything from buttons to toggles. The site-wide search makes it easy to navigate through your site, while the font icons add visual aspects for branding. We also enjoy that you can create custom logos and enjoy the benefits of SEO optimized code. I really like your collection Of BuddyPress themes. I want to Know that is there available the collection of free BuddyPress themes?